Sequential images of the embryos via video camera, in which is shown the evolution of the embryo in a 5 minutes interval during all the time of development that occurs in the laboratory. Is a new type of incubator that allows capturing the embryo development without the necessity of modifying their growing conditions. This technology provides an optimal environment for the development of embryos and the selection of those with a better potential of causing a pregnancy since it allows us to easily identify abnormal cell divisions and transient multinucleations, peculiarities that are not identified by conventional incubators. Does this technology increase the odds of pregnancy? We can perform a detailed monitoring of the embryos from the incubator without exposing them to changes in temperature and humidity, enabling an optimal environment for an adequate embryo development, which can result in higher implantation possibilities. In which cases can it be used? This technique can be appropriate to all the patients that perform a fertility treatment – In vitro fertilization or ICSI (Intracytoplasmic sperm injection). In Reprotec, the application of this technique initially will be made in special and complex cases, such as patients with no satisfactory results in reproduction, or patients that because of their age have fewer possibilities of achieving a pregnancy. 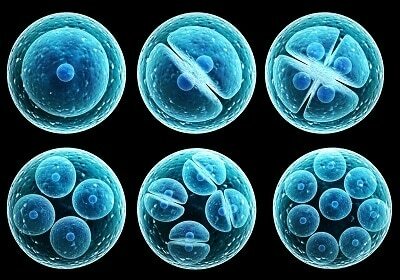 Better potential for pregnancy: There is no necessity of extracting the embryos from optimum environmental gas and temperature of the incubator. The patients have the opportunity to register images and video of the development of their embryos.